well im not sure which version your using there but i might be able to see if there's anything i can do if you download the latest beta and then give the the errors line number as i still have 17.2.2 "on ice" so to speak and should be able to find the offending line. however i shouldn't hold your breath on this one though as if it was nothing to do with the use of wine and crossover it would have shown up on windows. But im quite happy to see what i can find for you. do you think it would be possible to be able to change the order of the list with a up/down arrows ? what the multi URL list ? why would you need to change its order ? 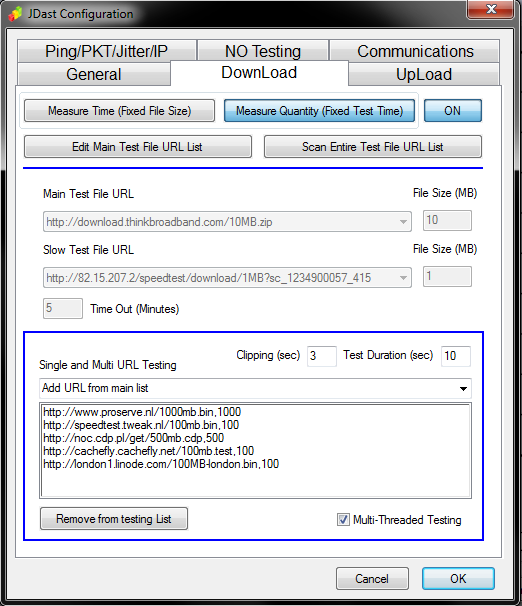 you can always delete them all and put them back in in the order you want them in but other than when using in multi url (not multi-threaded) where it tests them one at a time i cant really see why you might want to, and even then i cant really see a benefit. o yea sorry about that, we did not have dedicated servers in them days but do now. well to tie you over you can have a copy of what i hope is going to be the next beta release. There's a lot of changes and iv not done the write up yet but im sure you'll be able to figure it out if not im always about. 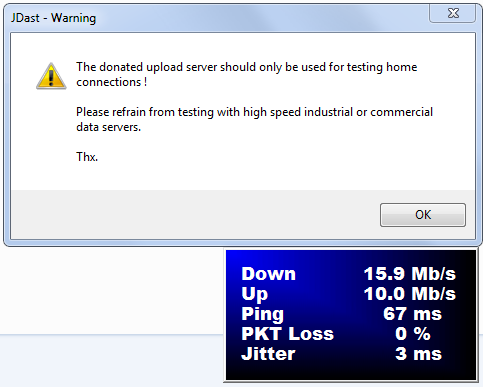 I have altered the 10Mb/s warning to 20Mb/s for now. If you do take it and find anything wrong please do let me know. i suspect its because it has not yet "learned" your max upload speed (it never had one before now), run a test and then see if it makes sense. P.s. have a play about with the "Graph View Options" , you can have the graph look many different way and colors. you can even set it back to exactly how it was before if you want, all the settings are there you just have to tinker about until iv done the write-up but its pretty self explanatory. "might be an idea to use the default colors like you get in double window or at least let the user pick between the 2 colors"